Hi friends, I need your help! 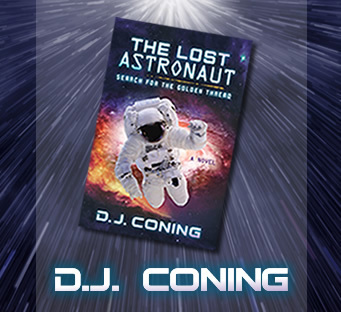 As you know, the launch of my new Book The Lost Astronaut is just around the corner. Already, I’m receiving terrific feedback from people who enjoyed reading my novel.In order to help launch the book, I need your help. The greatest way to help get the word out is through positive reviews at Amazon, Barnes & Noble and Goodreads. The more positive reviews I receive, the greater the chance that others will be interested in reading the book. For a limited time, I’m offering my book absolutely FREE to individuals who would sign up and read before March 6th launch. To be eligible for selection, please enter your information in the form to the right. Why are you interested in reading my book?